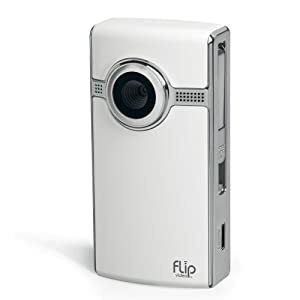 The Cisco Flip Video UltraHD is a very basic 720p video recording device. It has a screen, a few buttons, and USB and HDMI ports. Not very much going on. Record, play back, copy to computer. However, these devices were discontinued, so my friend and I bought two to share at $29 a piece. I was very keen on using them together for 3D video. To prepare for this weekend’s 2nd annual Ottawa Pinball Expo, I was making sure all my camera gear’s batteries were charged. The Flip UltraHD takes 2 AA batteries, which is generally enough to allow you to completely fill the camera’s 1 hour internal memory. I noticed that there was a rechargeable battery pack you could buy for the Flips. It charges when the camera is plugged in to a USB port. This battery pack is really just two AA NiMH rechargeable batteries wrapped together, with a little tab that pushes on a switch to tell the camera that the pack is installed, and not regular AAs. When I realized this, I figured I could modify the Flips to work with my own AA NiMHs, and charge when connected to my computer. About a month ago my neighbour gave me an old Brother DCP-120C printer/scanner. The auto-document feeder was what caught my eye at first, but after I looked more closely, the type of ink cartridges it used made me very happy with this gift: they are simply little tanks of ink, with no head, meaning they are very easy to refill and should last a long time. What’s more, it only cost $7 for a full set at 123inkcartridges.ca. However, after ordering the new cartridges and trying to print, I encountered some problems: nothing came out, except for trace amounts of colour – no black, and it certainly was not printing properly. This is the inherent design flaw of these printers: they have a fixed print head, that is part of the printer. 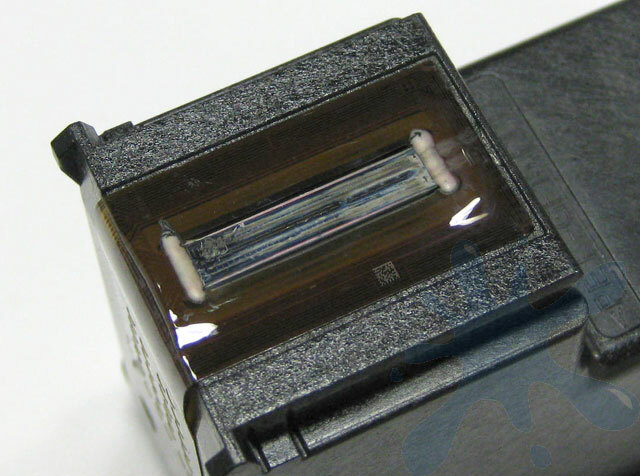 Unlike HPs and Canons (to name a few), the print head isn’t part of the cartridge. This means that if the printer is left sitting for long, and the ink clogs the head, the whole thing needs to be disassembled and either cleaned, or the head replaced. Being the do-it-yourselfer I am, I decided I would tackle the task of refurbishing this printer. Computer power supply units (PSUs) provides all the voltages the computer needs to function. Most computers use the ATX form factor, a standard that describes which voltages and connectors a PSU should have to be compatible with other hardware. The ATX standard has three main voltages (3.3V, 5V, and 12V), and two, almost never used, negative voltages (-5V and -12V). Recently, I was thinking about how I could make a computer power supply that accepted a 12VDC input, while still providing the range of voltages needed. Indeed, regulating 12V down to 5V and 3.3V is not so difficult, but obtaining negative voltages along side these positive ones was a challenge for my mind. Looking online I found that almost all examples of dual polarity power supplies involved the use of a center tapped transformer and AC voltages. This was not the most practical method if my input were to be a DC source. So, rather than begin complicating the idea, why not find out if these negative voltages are even needed at all. These Nexxtech “Soaring” Bluetooth headphones were on sale for $19.99 at the time. I thought, “hey, these have the same kind of reviews as the $60 units. Since they are more affordable, and would be a great gift idea, I’ll try them out.” So, when Christmas came, these were the headphones I got. I used them a few times, but it wasn’t until college resumed that they were getting more usage. I found they were fairly comfortable to wear (as long as you have hair that covers your ears), and that the sound quality was actually exceptional. Not as in, “I can tell it is Bluetooth but I don’t mind.” I mean, it sounded as close to wired headphones as it could get. My friends were equally impressed. Unfortunately, clarity does not mean frequency response. The bass lacked punch, dubstep did not tickle my eardrums like other headphones. It suffered from Generic Driver Syndrome – standard, run of the mill, $10 headphone speakers. Every couple of days, the fan will randomly turn off. This happened ever since I got it, and sometimes happened every 4 days, once a week, then it happened twice in two days. It was no longer capable of supporting the server when mains was removed. For the first issue, although the silence was welcomed, and the server remained powered, my concern was that, if this wasn’t a design feature, the UPS may overheat. Indeed, it did get warm when left for half an hour. However, the moment mains would fail, the fan would resume active duty. It was after a couple of weeks that the server would no longer remain powered with battery power. Before I only had 15 seconds of runtime – not a lot, but enough to handle flickers and short brownouts. Now it tries to keep the server going, you can hear the hum inside when mains is cut, but the server simply dies. I tested output voltage to make sure it was around 120VAC, and measured 117VAC. I then tried powering a smaller load, my laptop, which had no issues powering up. When I opened it, there was nothing out of the ordinary. No bulging caps of anything of the sort. I believe at this point I can attribute the problem to aging, ready to retire batteries. This is the huge bus capacitor at the 36VDC input. It has enough power that, when the batteries are disconnected, it can fire several relays and hold them for a second, before finally dying. As well, when the battery pack is connected initially, considerable current is sucked to charge this cap, enough that a large blue arc appears, creating ozone and smoke. Awesome. Here you can see where the buzzer used to be, removed to preserve my sanity. I don’t know if any of you have a UPS (or two) in your bedroom, but they will beep, non stop, for no reason. Power failed? Beep every 2 seconds. Battery dying? Beep continuously. If a power outage happens at 3am, this is not a sound you want to be woken up for. It has happened to me, and the adrenaline rush is actually kind of unpleasant. To the top right of the buzzer footprint you can see a black-red-yellow wire. This is the wire going to the fan. I plan on replacing the stock turbine with a much quieter CPU fan. The turbine didn’t really even move that much air, anyway. Being a very technology-inclined person, electricity has an important role in much of my daily life. Many of my tools require it (I include computers in this category) and, when the power goes out, it is the absence of server noise that alerts me, not that of light. The best way to keep these devices running is with a UPS (see previous post on the subject). Above is the “defender of the Internet” – this UPS keeps the modem, router, gigabit switch (and in passing, my amplifier) powered in the event of a power outage. This UPS was $15 at a thrift store, is rated for 350VA (so… 275W? ), and originally came with a 7Ah battery. Naturally, the battery was toast. I instead ran some wire from the terminals to a 12Ah battery from a broken car booster pack. Yes, I simply wrapped the wire around the terminal. I haven’t tested the life span, however I once left it unplugged, with my amplifier playing music, for 30 minutes without failure. Boredom led me to plug it back in. I expect it should last several hours powering only the network.